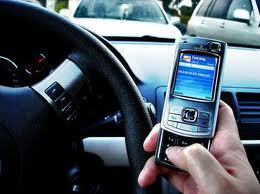 NH Supreme Court Upholds Negligent Homicide in Cellphone case. If you are not convinced that talking on a cellphone while driving is dangerous, consider this recent ruling by NH Highest Court. On Friday, February 8, 2013, the Court ruled unanimously to uphold the conviction of Lynne Dion in the 2009 death of pedestrian Genny Bassett. Although talking on a cell phone while driving is not illegal in New Hampshire, by its ruling, the Supreme Court says doing so can be used to convict a driver of criminal negligent homicide. According to the Court Opinion, the collision occurred a little after 9 p.m. on June 28, 2009. Genny Bassett was walking her close friend, Elsa Gonnella home, after an evening of playing cards and watching movies. The two women were crossing a bridge in Franklin and had almost reached the sidewalk when they were struck by Dion’s car. Dion said she never saw the women in the newly painted, well-lit crosswalk. Dion braked when she heard a loud “pop” and felt glass coming into her car. Her vehicle had hit Bassett’s right leg and Bassett’s head hit the passenger side of the windshield, fracturing her skull and causing a fatal head injury. Lynne Dion, 48, was sentenced in 2011 to 1 1/2 to 3 years in prison and her license was revoked for 7 years from the date she is released from prison. She has remained out of prison while her appeal was pending. 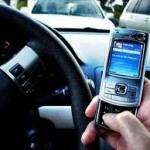 Distracted driving increases the risk of serious accidents. If someone you know or love has been seriously injured or killed in an automobile crash, the NH Automobile Accident and Injury Attorneys at Tenn And Tenn, P.A. are here to help. For a free, confidential telephone consultation, call us today: (603) 624-3700.